A Boston Food Diary: Guy Fieri of The Food Network in Lowell, MA! Winner Winner-Chicken dinner! For some reason that phrase always reminds me of The Next Food Network Star winner Guy Fieri and his collection of shows on the same network today. He has definitely brought a new face to TFN- a much more enthusiastic, high energy face. WHAT: Guy Fieri kicks off his 21-city Road Show in Boston. Taking American food culture to new heights this show marries food and a high energy rock-n-roll concert with blow-your-mind entertainment. Australian-based flair bartender Hayden “Woody” Wood, an effervescent entertainer and educator on all things liquid, will serve as the opening act. Each city will feature a local celebrated chef, and then Guy will take center stage with an unscripted and wildly entertaining performance, complete with interactive cooking stations, demos, behind the scenes stories from the road and more. Visit www.guyfieri.com for additional tour cities and dates. Sounds fun right? Wanna go? I'm going to help you out! 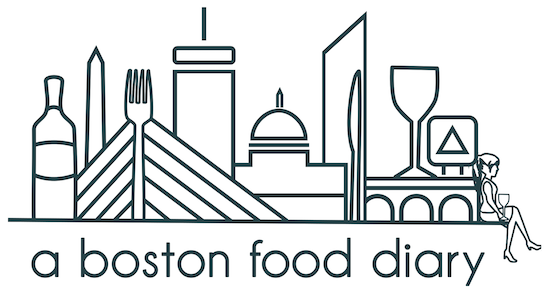 The generous folks at the Lowell Auditorium have offered readers of A Boston Food Diary a 10% discount on tickets ordered through Ticketmaster!! All you have to do is enter the promotion code "twitter". This event promises to be high energy, and tons of fun! I hope you guys take advantage of the discount and head on out next Tuesday night! Id love to hear about your experiences if you go- so please drop me an email or a comment about the show!